For my daughter’s end of school party, the class had a Pirate themed picnic. 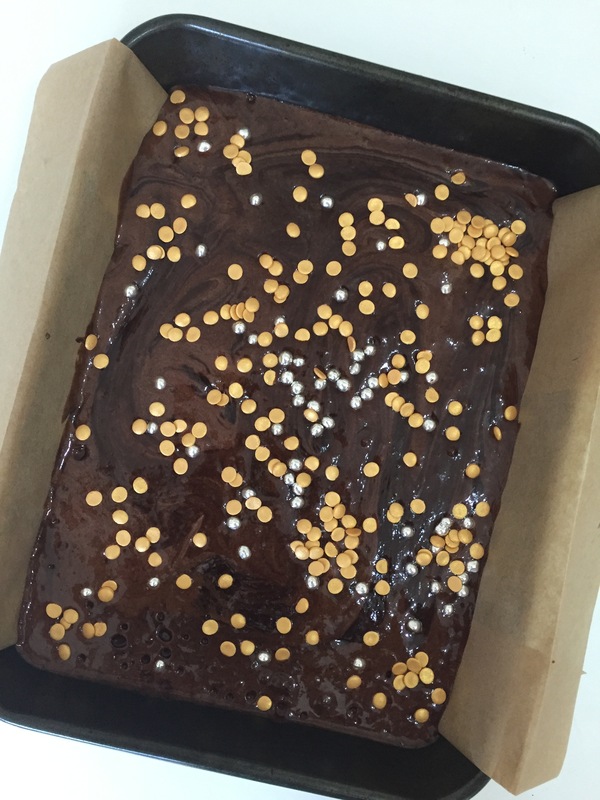 Of all of the cakes we bake, Evie’s favourite is a Chocolate Brownie and she was adamant that was what she wanted to contribute. 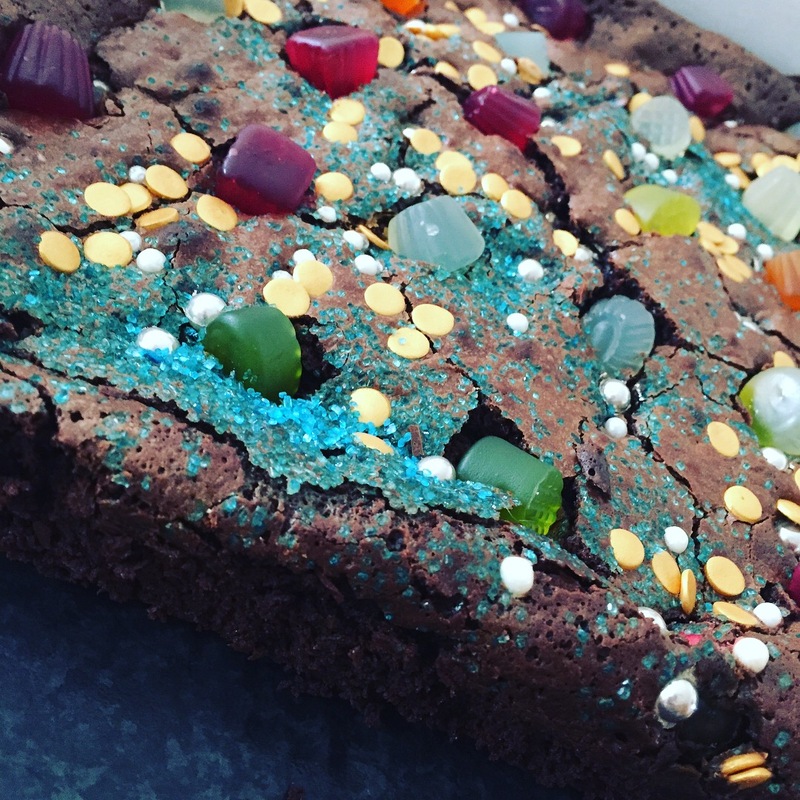 In the spirit of the theme, we decided to try some Pirate Treasure or Buried Treasure Brownies as something a little different. They were such a hit and looked great, so we thought they would be an ideal first recipe for this blog. You can use whichever ‘treasures’ are your favourites, so feel free to swap them out in the recipe below. I tested the recipe with my 5 year old daughter, so I have included some tips on ways children can help out. 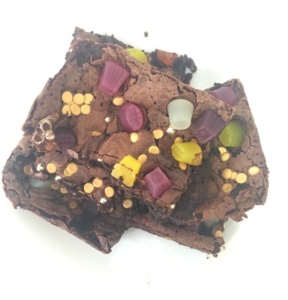 I have made this recipe using a stand mixer, an electric hand whisk and a plain ol’ whisk with some elbow grease, so no matter what equipment you have at home you will get delicious, rich, gooey brownies. 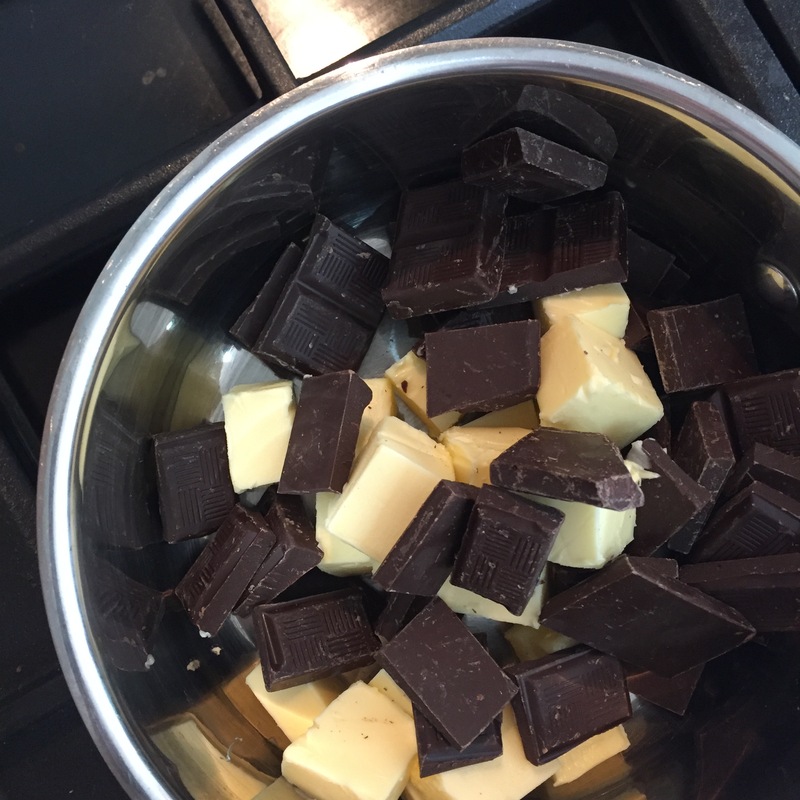 Pre-heat your oven to 160 degrees C.
Break up the chocolate and place into a saucepan with the butter, place over a low heat and stir until completely melted. 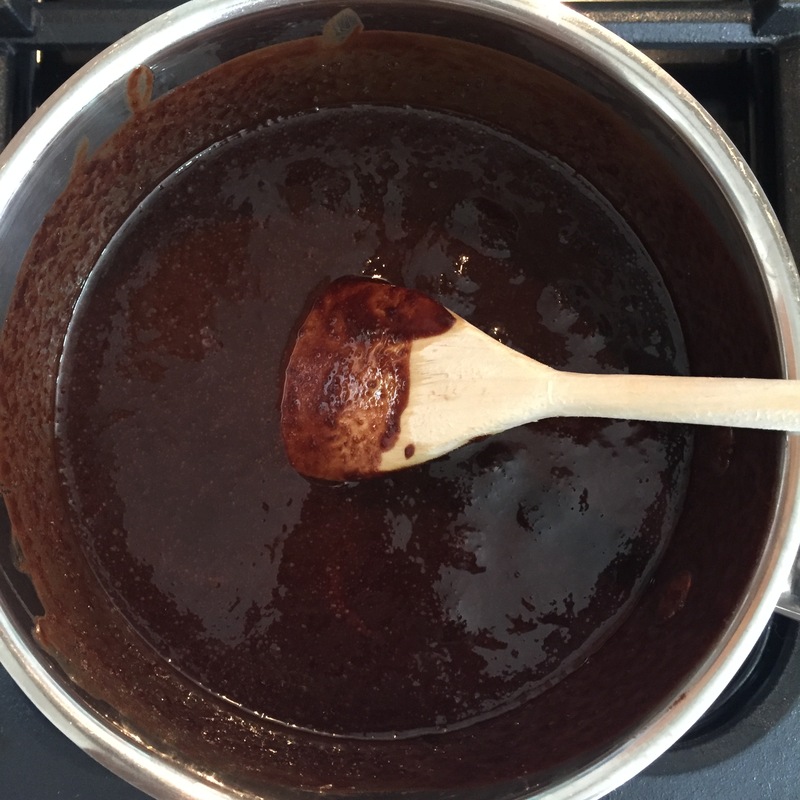 Do not allow the chocolate to get too hot or come to the boil at all. Once melted, take the pan off the heat and leave to one side. 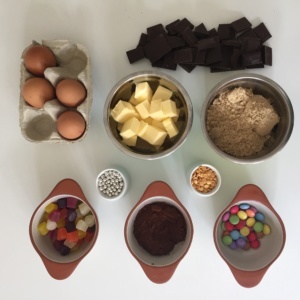 Kids Tip: Breaking up the chocolate into the saucepan is ideal for younger children, and older ones can help to stir the mixture. 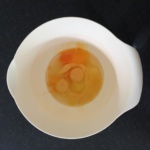 Whichever mixing equipment you are using, break the eggs into a bowl and whisk. Whisk, whisk, whisk. You want the eggs to double in size. Getting as much air into the eggs as you can is key here to help the brownie rise. 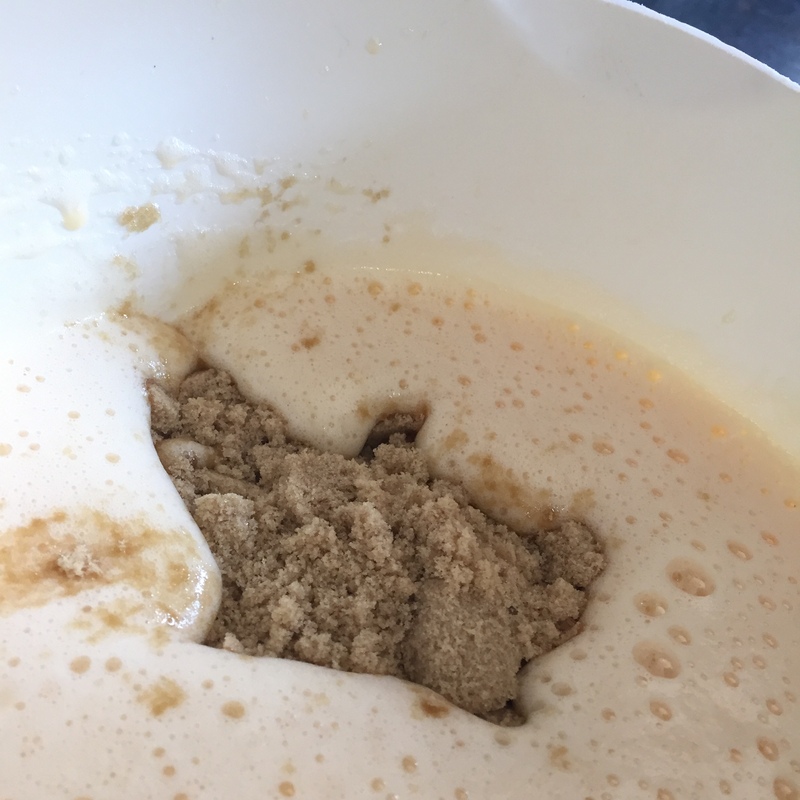 In the photos below we used an electric hand whisk. 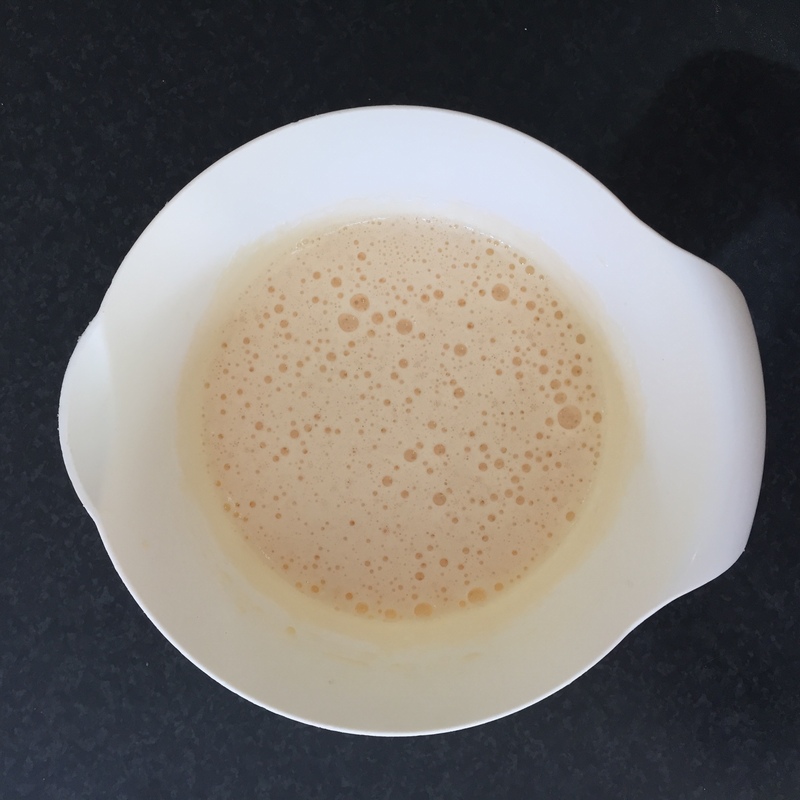 Once the eggs are thick and pale, add the light brown sugar and whisk some more! Kids Tip: I know it can be messy, but kids LOVE breaking eggs. 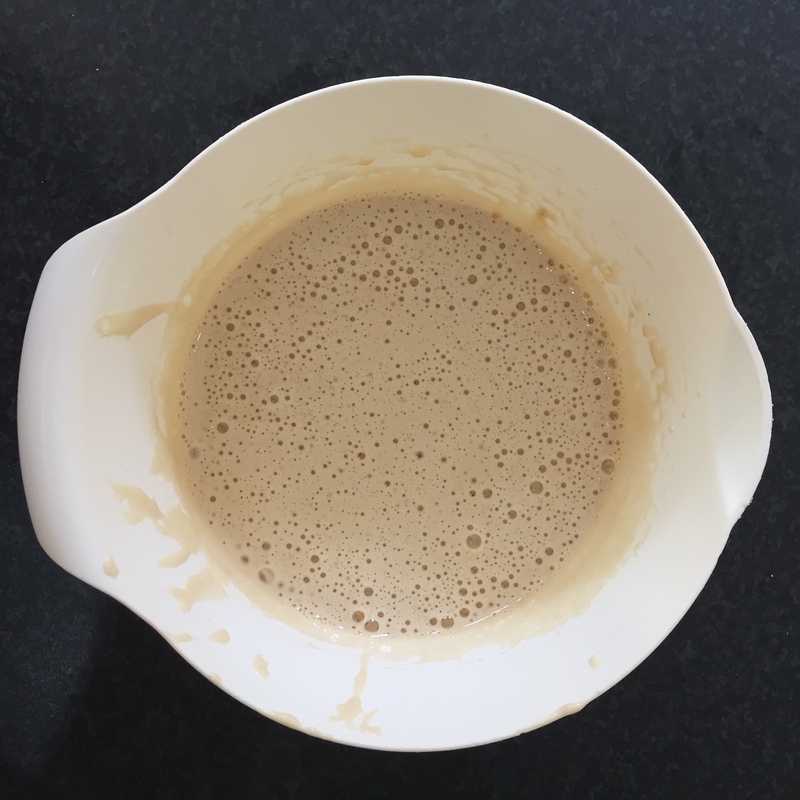 And, with all the whisking to be done, let everyone have a go. 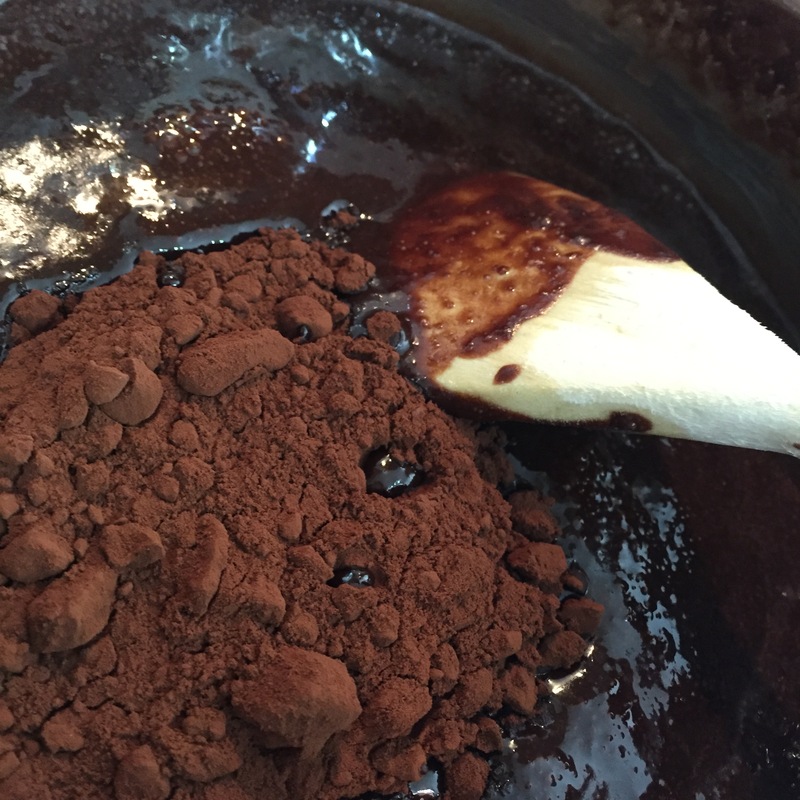 Mix the cocoa powder into the chocolate and butter mix, then stir into the egg and sugar mixture, until you have a rich and thick, dark chocolate batter. Tip in the tube of smarties and stir through, then tip into your lined cake tin. 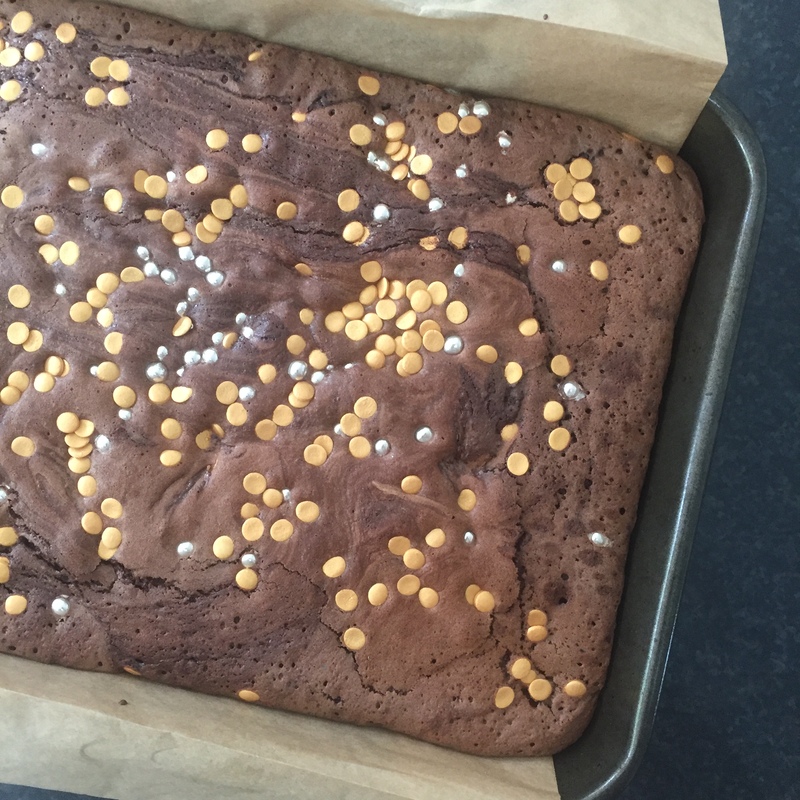 Kids Tip: Get extra sweets – one for me, one for the brownies…..
Place the brownies in the oven for 20 minutes. 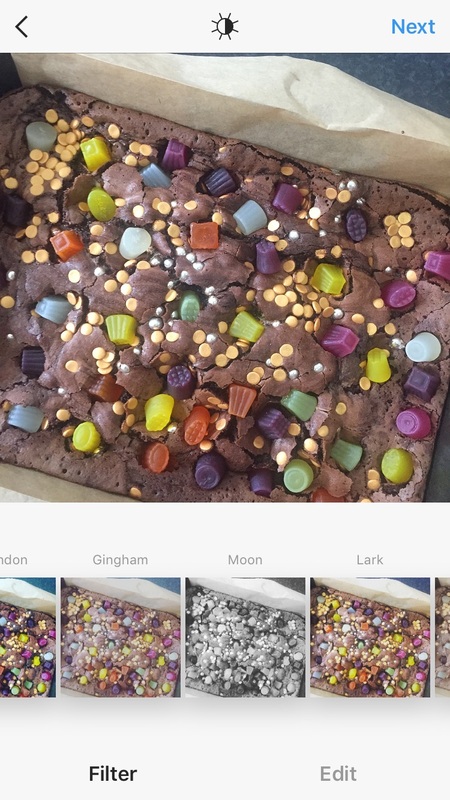 When the timer goes, pull the brownies out and carefully poke the midget gems into the top of the brownies. This means the gems get baked into the brownies, but don’t lose their shape. Place the brownies back in the oven for 8 minutes. 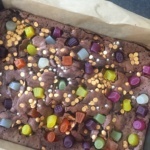 The brownies may look a little ‘wobbly’ in the middle but that’s ok. You don’t want them to be wet and runny, but a little wobble is ok and adds to the gooey-ness! 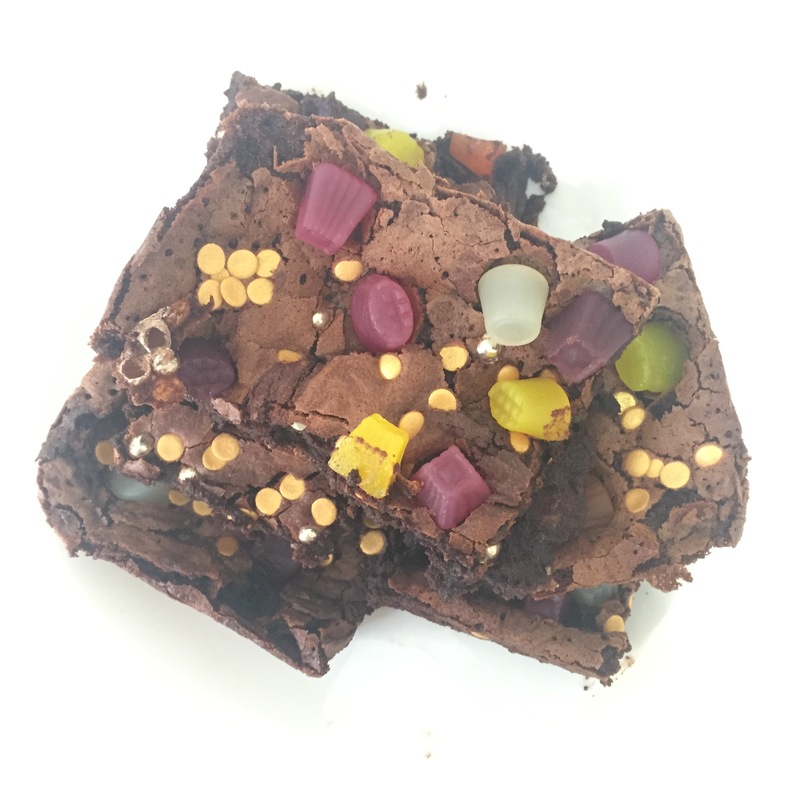 Leave to cool, then cut into 8 for ‘proper’ brownie portions or into 16 for smaller, bite-sized pieces, ideal for a pirate party! We would love to know if you try this recipe and what you thought of it. What are your favourite sweetie treasures? Come and post your photos on our Facebook page or tag us on Instagram with your creations.